One of the best ways to stay creative? Take a step back for a minute and play Sheriff of Nottingham! Did you know that studies have actually shown that playing board games promotes creativity, improves logical thinking, and even decreases the probability of developing cognitive diseases later on? 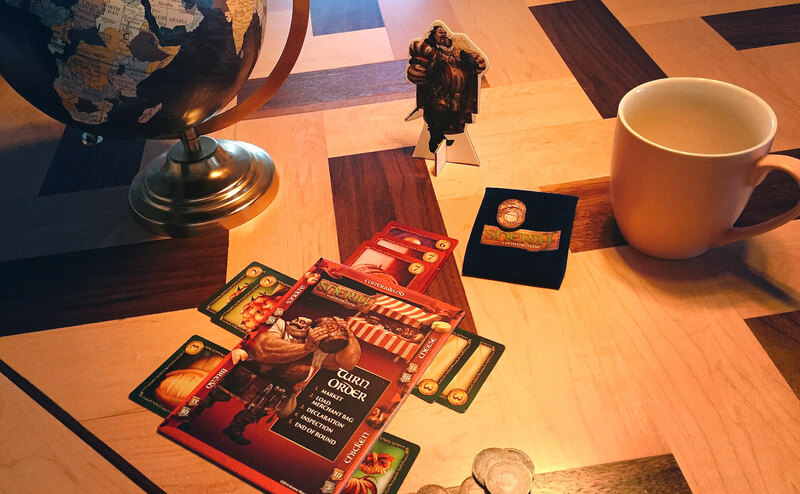 Strategy: Much like our day to day routine when every member of our team brings different skillsets to the table, all of our different strategies come into (literal) play with board games, too. Even though we’re all playing the same game, everyone goes about it in their own way and has their own individual technique, and it’s always interesting to be able to look at things from a different angle. Brainstorming: Games make you think, most likely in a nontraditional, out-of-the-box way that you don’t usually do on an average day. They teach you to keep your mind sharp, boost your memory, and help generate new ideas. And here, we love those. No idea is too out of the ordinary – usually, the out of the ordinary ideas are the best ones that there are. Asking Questions: That being said, no question is too out of the ordinary, either. Sometimes, you understand the object of the game right away, sometimes, it takes a little while. But you should always be constantly asking questions – that’s the only way to learn. Support: “It makes sense that you put that card down because…” “That was a smart move when you…” We always encourage each other here, both on and off the game board! There are always a million different approaches in order to get to the right answer in the end. Everybody’s minds work in different ways, and we always support everyone’s thoughts and opinions. Everything that you learned from playing board games as a kid (like sharing, taking turns, and communicating) carries with you far beyond that point. Even a short game-break during the day allows us to listen to each other and gain some inspiration from a new outlet. And, much like your favorite board game, with one piece missing, you wouldn’t be able to play – and that’s how we feel about our team.